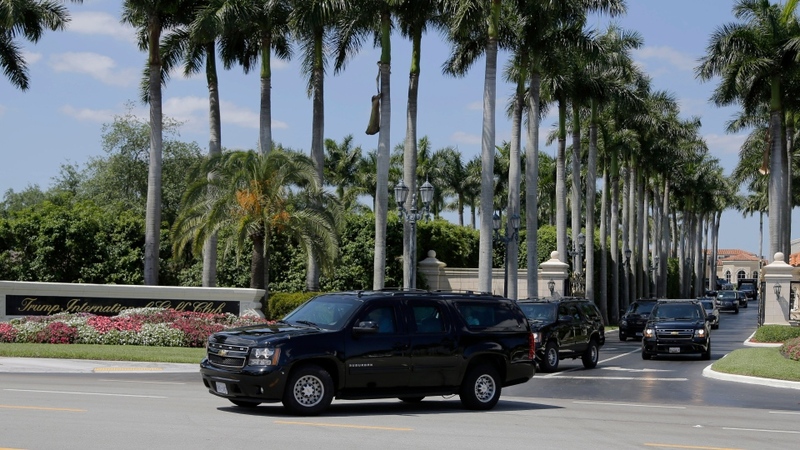 WEST PALM BEACH, Fla. -- President Donald Trump is laying low at his Florida estate as he awaits the findings of the special counsel investigation, heeding the advice of his lawyers, who warned him against tweeting about the probe before details were released. The president has railed against Mueller for months, calling the investigation a politically motivated "witch hunt." The inquiry focused on whether Trump's campaign co-ordinated with Russia during the 2016 campaign, as well as whether the president tried to obstruct the probe. A larger pack of aides than normal -- including press secretary Sarah Sanders -- travelled with Trump to Mar-a-Lago to manage any fallout. Trump was briefed on what his supporters would say on television throughout the weekend; aides hoped the president might stay quiet if he felt his messages was getting out even if he wasn't delivering them himself. He levelled fresh recriminations at the late Sen. John McCain. He called adviser Kellyanne Conway's husband a "loser husband from hell," former FBI Director James Comey a "dirty cop" and former Vice-President Joe Biden as a "low I.Q. individual." And Trump tweeted ongoing denouncements about the Mueller probe, saying it is the "biggest scandal in the history of the country."